The Chicago City Council unanimously approved Mayor Rahm Emanuel’s 2017 budget Wednesday, but what does that mean for the average Chicago family? The Chicago City Council unanimously approved Mayor Rahm Emanuel’s 2017 budget Wednesday, but what does that mean for average Chicago families who have faced a series of tax and fee hikes in recent years? Since taking office in 2011, Emanuel has pushed a variety of tax and fee increases that aldermen ultimately approved. 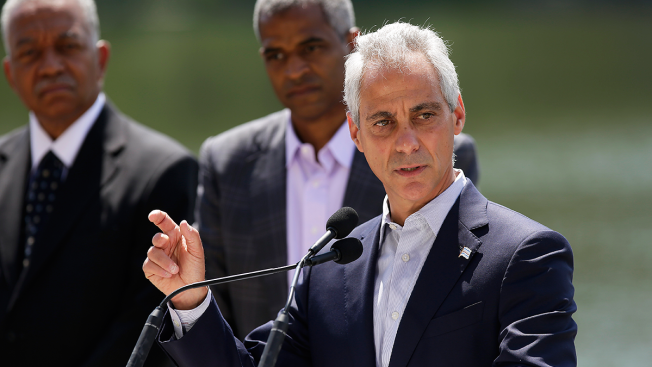 As a result, average families will pay roughly $1,692 more a year to the city than they did before Emanuel took office in 2011 once all of the tax and fee hikes take full effect, according to the Chicago Tribune. That number includes roughly $994 a year in property tax increases for City Hall and Chicago Public Schools, based on a $250,000 home. It also includes $50.40 for a 911 phone tax passed in 2014, based on a total of three phone lines, the Tribune reports. According to the report, the tax and fee hikes for average Chicagoans also include roughly $355 a year in land and sewer fees that were doubled in 2011, as well as $134 a year from a water and sewer tax passed in September. That rate is for metered service, while people without meters can expect to pay roughly $229. The $1,692 increase also includes $25 from a 2011 vehicle sticker increase, which was $10 per car and $15 for SUVs, as well as $19.40 from a cable tax hike approved in 2014, according to the Tribune. The cable tax estimate is based on an $80 monthly bill. Also included in the tally is a $114 a year charge for garbage pickup approved in 2015, according to the report. That estimate is based on $9.50 per unit a month for a single-family home. A good portion of the taxpayer money is being used to fund government worker pension systems, which are $18.6 billion short, the Tribune reports. According to the report, the city’s $8.2 billion budget also includes a plan to increased from roughly $6.2 billion to about $8.2 billion for 2017. That increase is partially due to the city continuing to pay for programs that the federal government stopped funding and more money being spent on water and sewer construction, the Tribune reports. Additionally, day-to-day spending has jumped from $3.3 billion to $3.7 billion, which is largely due to city worker raises. During his tenure, Emanuel has cut the city workforce by 5 percent, according to the Tribune.